I don't want to touch on too many topics that are already here. My purchase decision for Axiom was based on fact finding research rather than hearsay and nay-sayers. I wanted something better than what I had but wasn't willing to pay an arm and a leg or a hope and a prayer to get it. I have given up asking on that other forum for advice as they don't seem to listen to what I am asking and don't have the same mindset to what I am trying to accomplish. I am building a new room in my basement for a media/listening room. It's something that isn't going to be finished for another 5-7 months, but when the room is done I would like to have the equipment or at lest some idea of what needs to go inside. I liked the reviews of the M80 and hope that the v.4 unit will be even better than the v.3's that I have read up about. Q- When you ask around about Axiom speakers, the common response is they tend to be bright. I still have not got mine, but I am wondering from those who have actually heard them. Would you say that true or just one of those hearsay rumours that won't go away? Knowing about sound, what you get out of a speaker is very much influenced by what goes in. Like, if you put in a garbage recording, you will likely hear garbage sound. But I also hear that amplifiers also have a characteristic. So I hear that a bright speaker with a bright amp x is torcher, but match the same speaker with a tube amp and it can sound wonderful. I have a Pioneer VSX-1126K amp that I was thinking of using. It should handle the 4Ω M80 speakers, but I am told that these sound much better with a larger amp. Based on the printed manual is says the amp is only good to 6Ω but online is says 4. I was thinking of hooking up a power amp through the pre-outs for the front 3 speakers, so if the amp is not powerful enough, then that could take care of it. I have looked at a better Pioneer Elite SC-1527K that has a D3 210w @ 4Ω but it costs more than getting an Emotiva XPA-3 that probably is a better unit. Q- Knowing what sounds best with these speakers, what would you suggest? I'd like time to budget to get the money, research and buy before the room is done so I can start to use it right away. I am not really interested in the "try what you have and see if it's good enough" routine. I know it isn't and I would rather have something good and make it even better with accoustic tinkering. You have a lot of good choices with Axiom, if you were to ask them they'd likely ask what size of room you'll be finishing, your preference between music and movie viewing, TV or Projector, etc. and then they'd suggest an appropriately sized unit. Listening to them may save you a pile of cash. Me it was go big or do't buy and I've no regrets. The room dimensions help alot here, for me, so this would be interesting to see what you have in mind. Many of us live off this stuff, exited to see someone else jump on board and "hear what they've been missing". If you want to stay under a grand for an amp you don't have much choice really other than Emotiva. Axiom has some great amps as others will attest to, but are out of my financial reach . I have an XPA 3 and 5 and am very happy with them. I wish I had started with the XPA5 as I now have one lonely channel LOL . I have M80 v3's and my kids (20&22)have never commented that they sound bright( they have excellent hearing ) and since I have compromised upper frequency hearing (old age)and so I can not comment on the M80 being bright but they still sound great to me. I know what you mean about that other website , very frustrating hearing the same BS spewed over and over. The jury is still out on the whole " all amps sound the same IMHO "
Right now I have carved out a 23x25' space in the basement. The room is not perfect and has a 1' jog on one of the walls. The ceiling height is not uniform, with 8'2 on the low portion of the ceiling, and 8'10 on the heigh. There is the HVAC return air ducting that when boxed in will be 7'6 but that will be along the back wall of the room. The floors are going to be planton(dimplex)with 3/4" plywood and 5/8 solid walnut plank flooring. 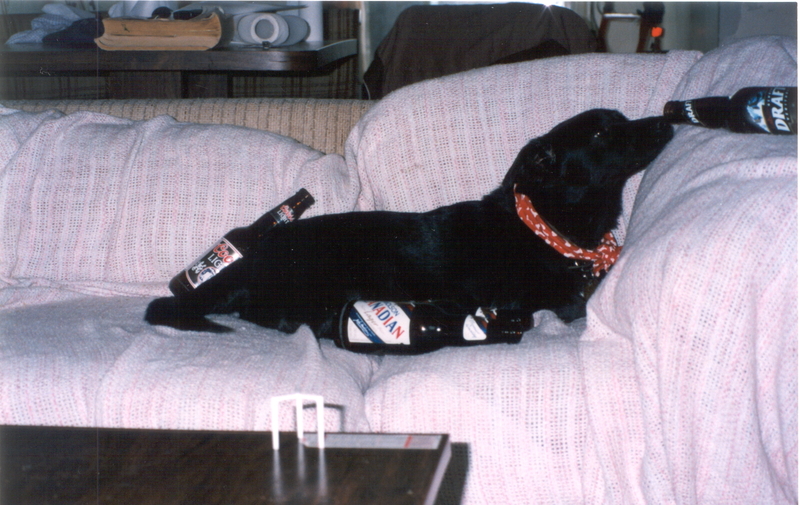 I will have some form of area rug on the floor. The walls will be double offset for interior with Roxhul safe'n'sound. I am planning to do some sound isolation on the ceiling too. But again, the room has not even been started, and exactly how it is built will be designed after I know what is going inside. I am planning to build movable sound damping panels for the walls myself, and thinking of the same idea for the ceiling. I am told I may need a bass trap (no idea what that is). I would like to eventually get an EP500 with 2 or 4 QS8 for surround. Right now I do have a Mirage PB8 and a set of Energy Take5.2 (2003). I like most everything except RAP. I really like classical, 80s synth bands, Blue/Jazz like Holly Cole, or Cowboy Junkies. Quite ekletic. Movies, I am a syfi action buff, hence the EP500 on my list. Matt, welcome to Axiom. What you've apparently heard elsewhere about Axiom speakers being "bright" is no more accurate than what you've also heard about amplification. The treble response is smooth and accurate and will reflect the characteristics which are inherent in the particular source material which is being played at the moment. As to amplification, competent design results in the sound simply being made louder without adding some inherent sonic coloration. Blind listening tests confirm that this is achieved at quite moderate cost in receivers and at somewhat higher cost in separate amplifiers when they're operated within their designed power limits. An engineer who designed a unit which had a "sound" would be subject to being fired for incompetence. A "larger amp" has no capability to make speakers sound better at given loudness levels. If the speakers are being played at a very high loudness level(possibly damaging to hearing)which exceeds the maximum clean voltage output level of the existing amplification, an amplifier with higher maximum limits will have lower distortion, of course. In the vast majority of home listening applications typical modern receivers with rated outputs on the order of 100-150 watts are completely sufficient. I know you didn't ask whether or not you actually needed an amplifier . I think its best if you draw your own conclusions and the best way to do that is with some reading. I would like to share an article with you that I found interesting. I have no opinion one way or the other, I tend to buy what I want when I want within my budget. Audioholics and this video. I know you didn't ask whether or not you actually needed an amplifier . Every speaker needs to be hooked up to an amplifier if you want to it be something other than a piece of art. In my post, I indicated that I have a Pioneer VSX-1126K receiver (amplifier) but in the specs published by Pioneer is lists that the unit works at 8Ω but can be configured to 6Ω but does not say 4Ω that the M80 and VP180 speakers work at. Now running 3 speakers from this receiver might work. But will it in the long run damage the unit as it is running hot, over spec and end up causing my $800 investment to fail? Then would it not make sense to buy a new receiver or power amp that will properly support 4Ω? And so the question. What would you get? Matt, there is a pretty big different between a receiver and amp. When referring to an "amplifier" most of us will assume you're talking about a separate amp. Yes, receivers have amps built into them. But, they are usually referred to as a receiver. These words are not usually interchangeable as this will cause confusion. for my two cents. I currently have 3 separate amps for my room, which is 18x17ft. Preciously I was using a 5 channel marantz amp which is rated for 135w per channel, an mm9000. But, that amp was being driven into the clipping region; so, I bought larger amps. more power buys you just that, more power; like John said, which I agree with. More power does not = better sound, it just means you can listen at a higher volume without driving the amp into the clipping region which causes distortion and destroys drivers. 1_ The amp is part of a receiver or sometimes also called an AVR (audio visual receiver). AVR usually have video processors, inputs for multiple video and audio sources, AM/FM tuners, plus the amplifier section. They are the all-in-one required to play sound. If you buy separate components, you would need a source player (e.g. dvd), a pre-amp, an amp, then speakers. 2_ More power (as in wattage) is only required if you are further away from the speakers, like to play them loud, or the receiver that one owns is simply under-designed or under-powered for the application you want but could be used as the pre-amp section for a sound system. 3_ The ohms limit to which you refer could be an issue with some speakers for some receivers. For example the M80s are listed as 4 ohm speakers while the Pioneer receiver you have is listed for use with 8 or 6 ohm speakers (and possibly 4 ohm as you do have some conflicting information). A 4 ohm speaker may provide too much load on such a receiver which does not have a beefy enough power supply and if that occurs, the receiver usually has protection circuitry that shuts it down before anything blows. Knowing that, you might want to choose a receiver that is known to work fine with 4 ohm rated speakers if you are unsure about the Pioneer. Some names that have been tested over the years includes Denon, Onkyo, Sherwood Newcastle, Rotel and certainly some Pioneer receivers (there are likely many more brands, i only listed a few). Personally i've always found Pioneers to run hotter compared to others, but that is just one man's opinion and i haven't seen a Pioneer receiver in use in years so maybe their designs have changed. 4_ A "perfect" room for sound is NOT a square or rectangle. If anything, having some bumps, dips, sloped ceiling, is actually useful. Think of how proper concert halls are designed. Many have a sloped or curved ceiling and walls above you and around the main seating area. 5_ Adding acoustic treatments to walls (and this includes what people call a bass trap), can change the sound, but whether it "helps" to make the sound response more linear, more accurate, could only be measured with a microphone and special software. Some people on these forums have measured the sound response in their listening chairs after playing around with acoustic treatments. Start by simply buying speakers and tinkering with their placement and the placement of your seating positions. Just keep in mind that with plain walls, hardwood floors and not much else in the room but typical couches, the room will reflect alot of sound and potentially sound very echo-ey (some listeners describe this as 'bright' or 'harsh'). 5_ My own opinions of Axiom speakers is that they are a fantastic value. It is a great company with superior customer service, research philosophy and custom options. That being said, Axiom speakers are not my holy grail. I have heard other speakers that i like better for some reasons, but if i had my way, i would combine certain things about Axiom with those other characteristics of other speakers and perhaps then i would have my perfect speaker. I can only suggest you get a local demo of Axiom speakers near where you live if you are uncertain about buying them upfront. Even if you do, you can return them to Axiom within 30d if you don't like them. 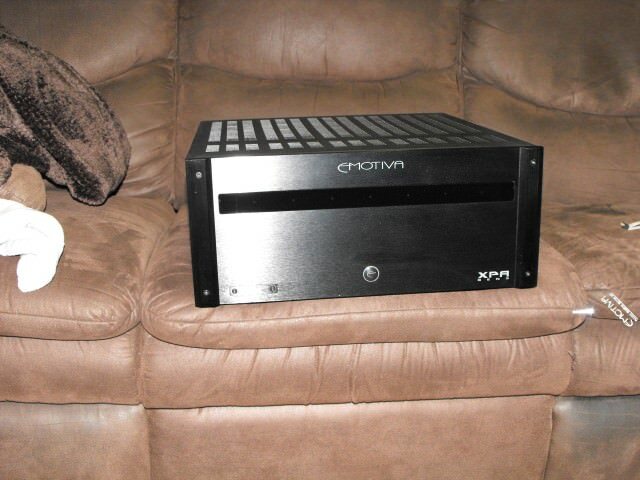 If you want to stay under a grand for an amp you don't have much choice really other than Emotiva. Don't forget about the used market though. Buying used audio gear opens up a whole world of low priced purchases. I got an Anthem MCA30 amp years ago, it was about 2 years old, for about $500 while new they are over that $1k mark.